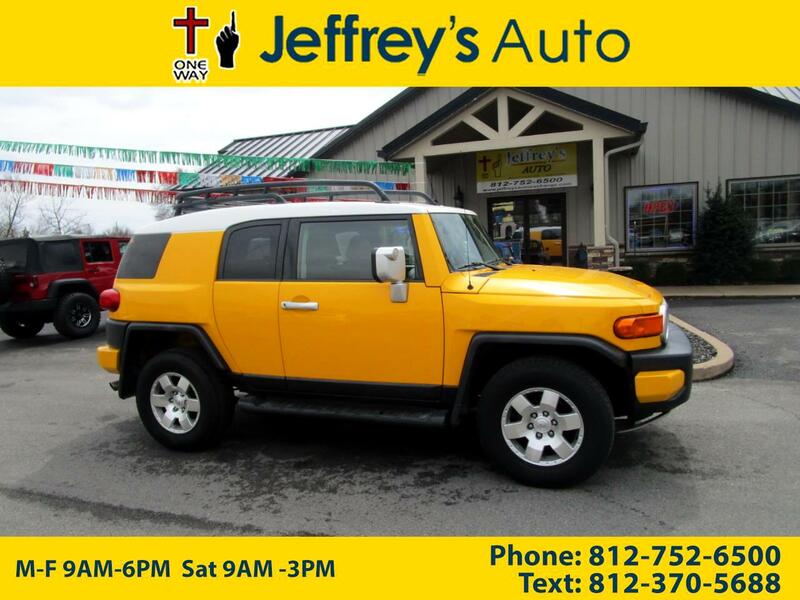 2007 TOYOTA FJ CRUISER IS IN EXCELLENT CONDITION! EXTREMELY CLEAN! ZERO ACCIDENTS OR DAMAGE REPORTED TO CARFAX! THIS SUV COMES EQUIPPED WITH GREAT OPTIONS SUCH AS KEYLESS ENTRY, POWER WINDOWS AND LOCKS, CD PLAYER, BACKUP CAMERA, STEERING WHEEL MOUNTED CONTROLS, CRUISE CONTROL, AND MORE! THIS IS AN AWESOME CAR AND HARD TO FIND! STOP IN TODAY TO TEST DRIVE AND MAKE IT YOURS!